In the week of the writer’s 209th birthday, let’s take a look at the relationship that influenced his greatest poems. Confession time: I am an absolute sucker for learning about the private lives of geniuses. Be it literary, artistic or musical, I love to know what happened behind closed doors and how the people that surrounded them dealt with the ups and downs of having said geniuses as their loved ones. And being the nerd that I am, I started researching on the inspiration for such a lovely poem, and found the story of Poe’s marriage to his cousin, Virginia Eliza Clemm. And of course, since truth is stranger than fiction, I did stumble upon a story as tragic and strange as Poe’s stories. 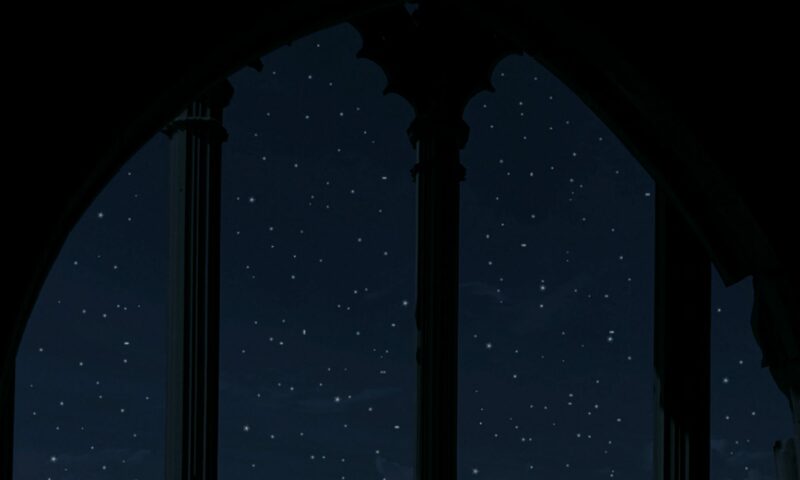 Virginia’s grandmother dies in 1835, the family loses the pension, and Edgar moves to Baltimore. There are rumours that he intends to marry Virginia, and Neilson, the husband of Virginia’s half-sister Josephine, steps forward to prevent it. This causes Edgar to declare him his enemy and to write to Mary, Virginia’s mother, offering to provide financially for the family (he had recently been hired by the Southern Literary Messenger), and asking her to let Virginia decide for herself. They get married, first in a quiet ceremony in 1835, and then in a public one in 1836. Even though Virginia was 13, her age was listed in the register as 21. There’s a great amount of speculation of whether the marriage was consummated or not, due to the age difference and the fact that Edgar nicknamed Virginia “Sissy” or “Sis”. 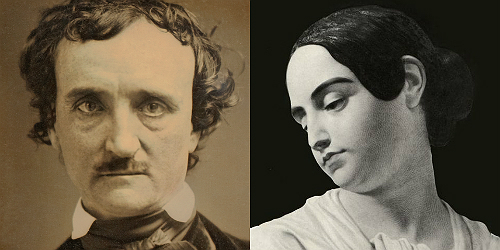 Some say, taking also the poem Annabel Lee as proof, that Virginia died a virgin, but others, including Poe’s friends, say that the marriage was consummated a few years later. The verse regarding the “tattling of many tongues” apparently refers to a scandal that took part between Edgar and the poetesses Frances Sargent Osgood and Elizabeth F. Ellet. Apparently it sums up in Edgar having a good friendship with Osgood that included the exchange of romantic poems. This friendship was encouraged by Virginia herself, thinking it helped Edgar. Then Ellet appears in scene, having this massive crush on Poe and being a sort of obsessive stalker, she starts to mingle and meddle, going as far as send anonymous threatening letters to Virginia. Virginia, who by that time was already in the early stages of consumption, would pretty much say that Ellet was the one to kill her. Truth is, her condition developed fairly quickly and soon she was bound to bed. This made the family move several times, in the hope of finding a place with better weather which helped her to improve. They finally stayed in Fordham in 1846, but by November, Virginia’s condition showed no sings at all of improvement. Edgar had also lost the magazine he owned, the Broadway Journal. So their situation was very difficult to say the least, but both friends and enemies from all over the country showed them their support.